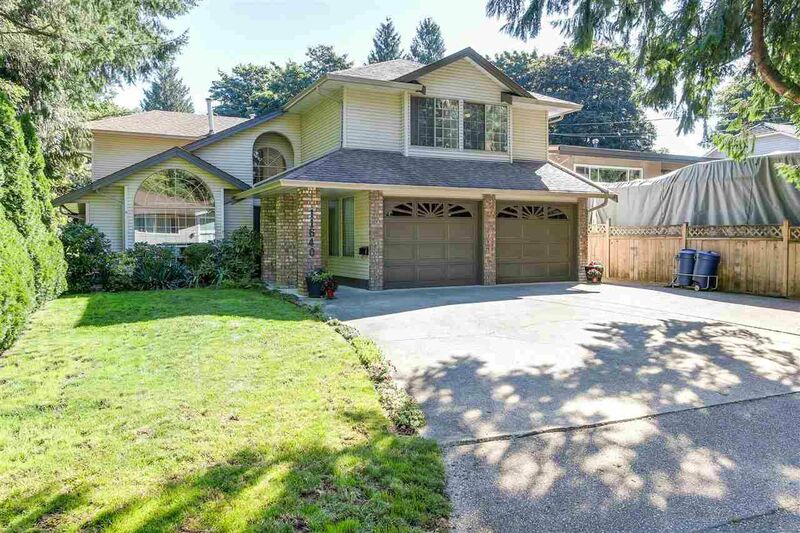 Seize this opportunity to own in West Maple Ridge on large private lot (8750 sq. ft) This 2 storey,(4 bdrms, 3 bath) has plenty of extras in a quiet neighbourhood. Natural stone floors greet you in the front entrance under vaulted ceilings w/an open staircase to the upper floor. 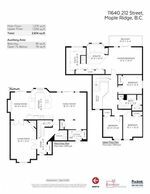 4 bedrms up w/ a huge master bdrm w/ vaulted ceiling, ensuite w/an extra large jetted tub, private deck & Den w/ custom B/I cabinetry w/ ample workspace & storage. Plenty of vaulted spaces, natural light & architectural accents. The main floor has large open concept kitch w/ 2 breakfast bars, newer Wall Oven & Fridge. Glass sliders from kitchen /family area takes you to the private back yard on the oversized deck which spans the entire length of the house. Plenty of storage space in 3' ft crawl.